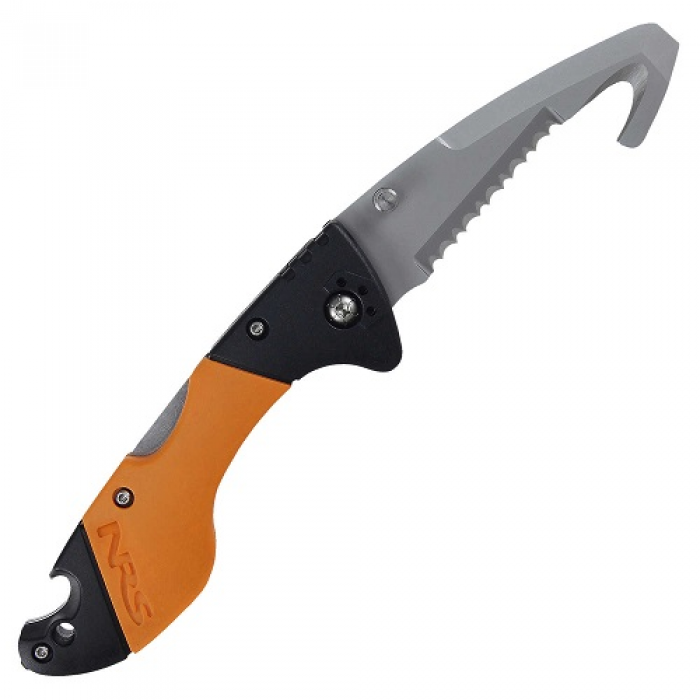 ✔ Unique design includes an efficient rope-cutting hook at the knife's blunt tip. A skilled hand can safely slip the hook under a rope pinned to a person's body. 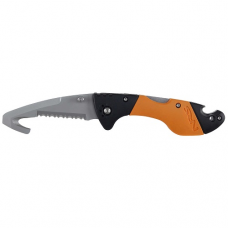 ✔ Super sharp serrated edge easily slices through rope and webbing. 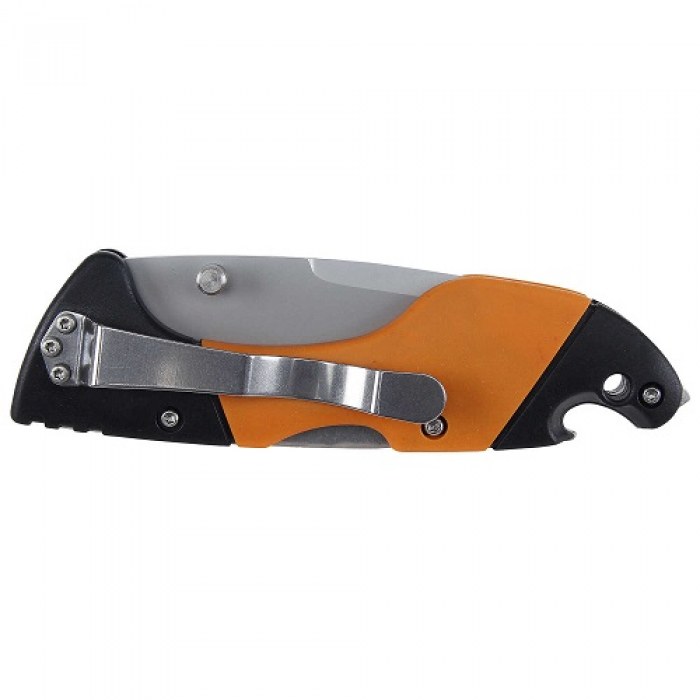 ✔ Folding blade opens with one hand and locks in place for security. 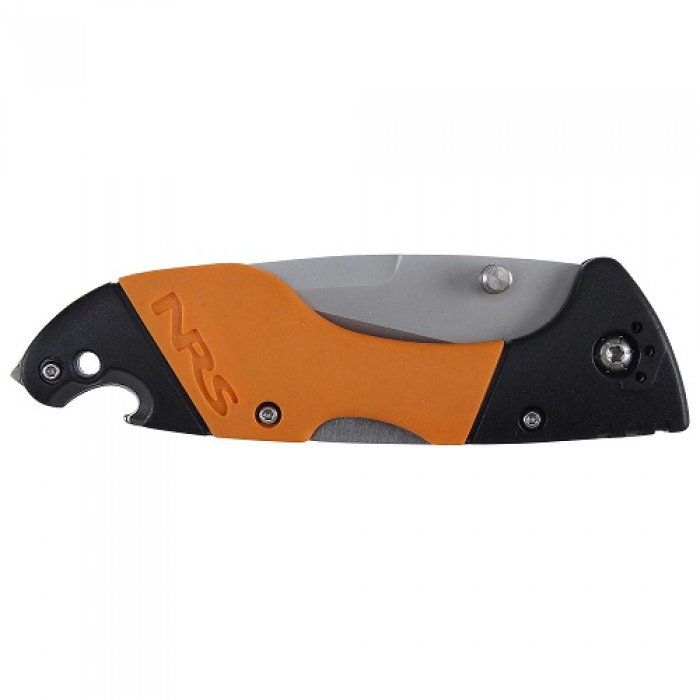 ✔ A spring metal clip keeps the knife where you want it, or you can remove the clip for a sleeker profile. ✔ Reversible stainless clip attaches to lash tab and lets right and left handers operate it smoothly. When removing the clip and reinstalling it on the other side of the sheath, we recommend applying Loctite® or other thread locker to the screws to prevent loosening. ✔ Blunt tip also serves as a slot screwdriver. ✔ The handle has a built in glass breaking tip on the end. ✔ Lanyard hole lets you conveniently tether the knife to prevent loss. ✔ The handy bottle opener will hopefully be the feature you use most.